The rally, which starts at Union Station in Washington, D.C., will feature a number of speakers, including representatives of several digital rights groups. Among them are U.S. Representative Justin Amash, a Michigan Republican; former Representative Dennis Kucinich, an Ohio Democrat; security researcher Bruce Schneier; NSA whistleblower Thomas Drake; and author and social critic Naomi Wolf. StopWatching.us says interested parties should gather at 11:30 a.m. by the Christopher Columbus Memorial Fountain, directly outside Washington, D.C.’s Union Station. The march will end about noon at the National Mall at 3rd Street and Madison Dr. NW, in front of the Capitol Reflecting Pool, where a stage will be set up for the speakers. Snowden’s leak suggested the NSA is collecting telephone records in bulk inside the U.S. and is also targeting the Internet communications of many people living overseas. The NSA has, in some cases, circumvented encryption efforts, and has targeted some foreign heads of state for surveillance, according to reports. “In the last four months, we’ve learned a lot about our government. “We’ve learned that the U.S. intelligence community secretly built a system of pervasive surveillance. Today, no telephone in America makes a call without leaving a record with the NSA. Today, no internet transaction enters or leaves America without passing through the NSA’s hands. Our representatives in Congress tell us this is not surveillance. They’re wrong. The NSA and members of President Barack Obama’s administration have defended the data collection and surveillance programs as necessary to protect the U.S. against terrorism. While the NSA collects phone records in bulk, the agency only obtains content for phone calls when it suspects criminal activity, Obama administration officials have said. 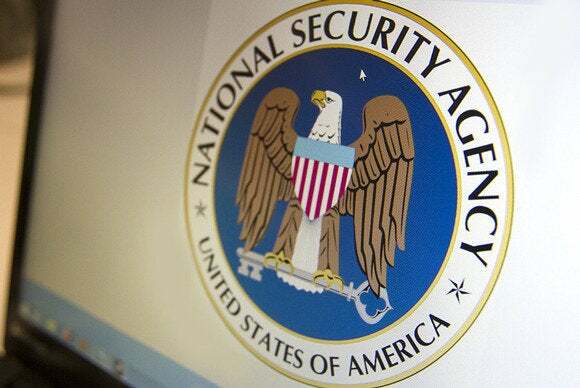 On Friday, before the rally, attendees from more than 100 congressional districts plan to visit their lawmakers’ offices and ask them to stop NSA surveillance programs, organizers said. Members of the StopWatching.us coalition include the Electronic Frontier Foundation, Free Press, Mozilla, Demand Progress, the Center for Democracy and Technology, and the Council on American-Islamic Relations.